You guys! Spring is in the air. The kiddos and I decided it was about time that we got our favorite picnic blankets out, and enjoyed the warm sun. 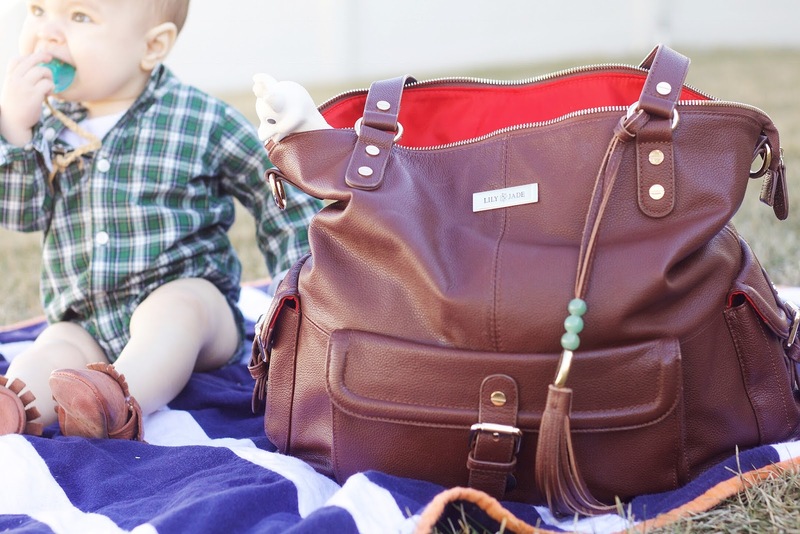 Of coarse, my Lily Jade Diaper bag wasn't far behind on this little outing. 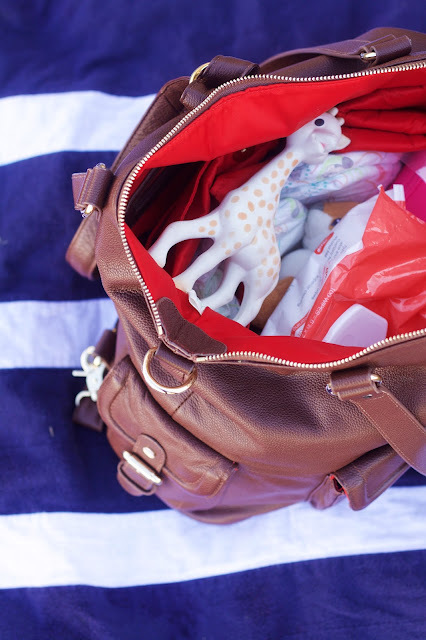 I literally can't leave the house without this little beauty. It fits everything and MORE for an outing with baby and kiddos. 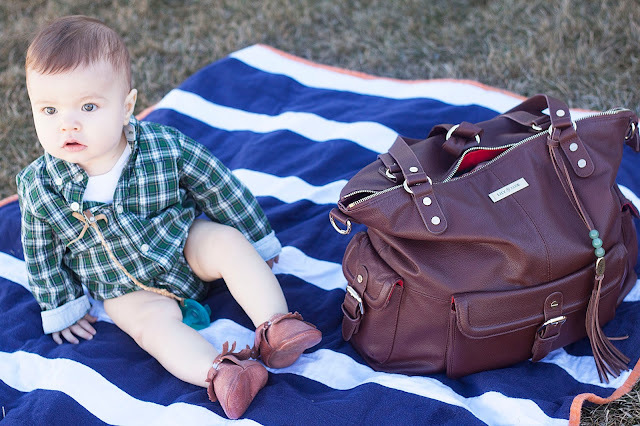 By the Way, these striped flannel blankets are the best for picnicking, and so incredibly easy to make! Do you want to make a darling striped blanket for yourself or someone you love? Look no further... we have just the tutorial for you! 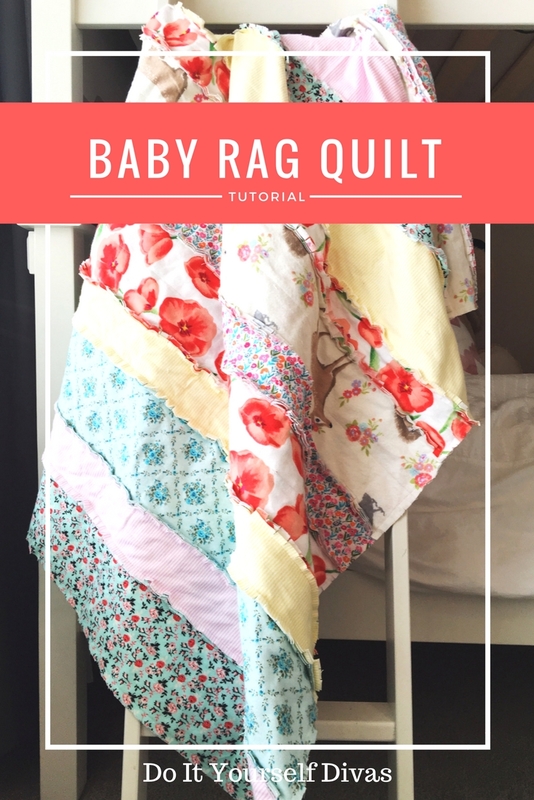 Just click on the picture below for the fun and easy baby rag quilt tutorial. It's an oldie but a goodie here on the blog. 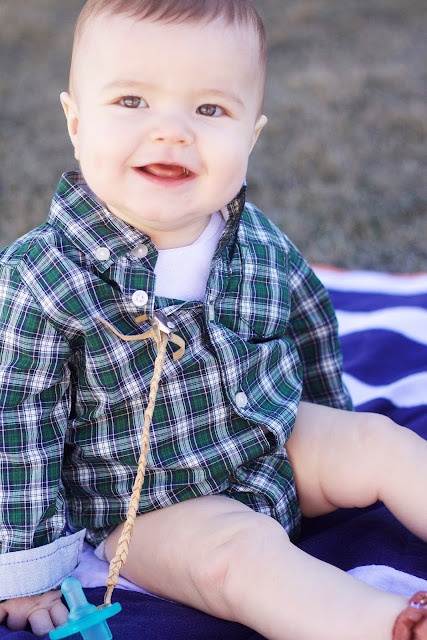 My little man, showed his dimpled smile and legs to the sunny world. It was pretty much the best thing ever. 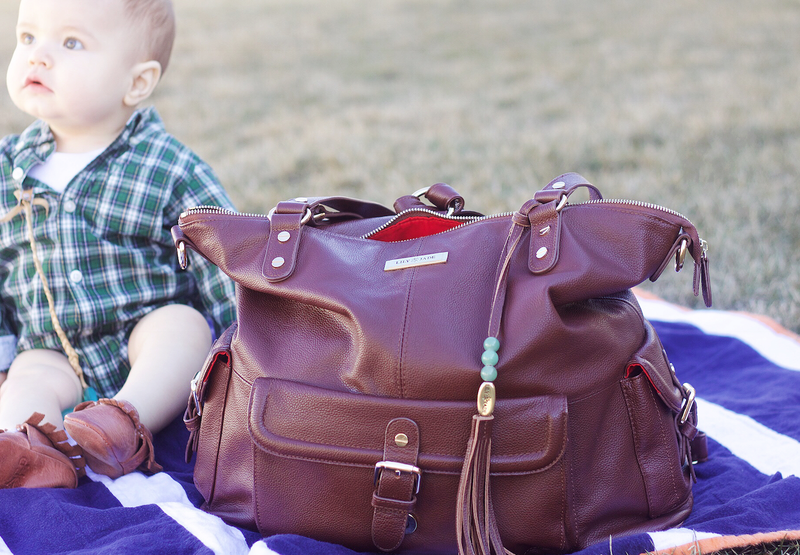 Here's to many more sunny days and happy outings with the best diaper bag and blankets in the land! We hope you are enjoying some sun where you live. I know I am beyond grateful for those glorious warm sunny rays!